PW-Sat 2 is a polish nanosatellite. 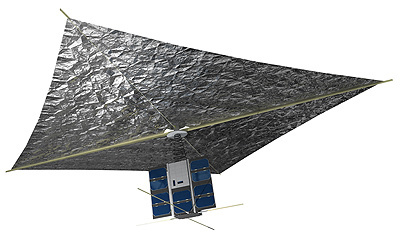 The CubeSat-based satellite is to deploy a drag parachute in space. PW-Sat 2 is build on the 2U CubeSat form factor. It features two deployable solar panels. The main PW-Sat 2 payload is a deorbitation system - a drag parachute opened behind the satellite - which allows faster removal of satellites from their orbit after it completes its mission. Aditional payloads are a simple sun sensor and two cameras. One of the cameras is to observe the sky as a prototype of star tracker, while the other is employed to observe the deployment of the drag sail. The satellite was launched on Spaceflight Industry's SSO-A multi-satellite launch on a Falcon-9 v1.2 (Block 5) rocket.